Having a new 175,000 square foot exhaust facility to fit out is no easy challenge for any company. A key requirement for Faurecia is an easy to assemble product, to design and build into material handling solutions and work cell structures. With new lines to be installed for production-start, Faurecia reached out to us for support. Already familiar with our products and services, having worked with Trilogiq in the USA, and worldwide, the company decided to utilize our business partnership. 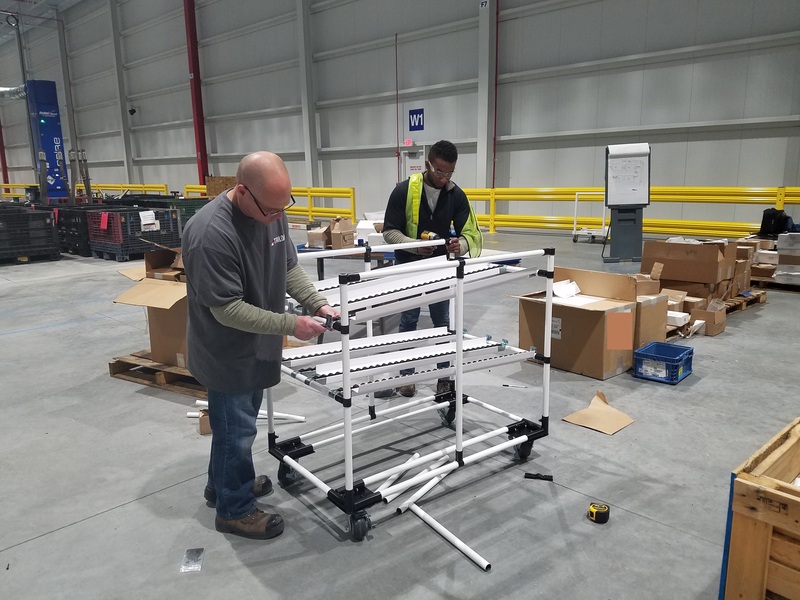 During December 2017, Paul Boyce of Trilogiq USA visited the new facility in Indiana and facilitated a full training workshop. The workshop familiarized Faurecia personnel with design and building modular solutions using the Trilogiq tube and joint system. During this time personnel were able to learn how to use Trilogiq systems and complete actual builds that will be needed for use in production. This saved considerable time in developing the much needed skill-set and knowledge to efficiently design and assemble solutions. The planning, procurement, and implementation of production requirements will now be made easier with Trilogiq materials. Trilogiq support extends to on-site design and build for our customers, contact insidesales@trilogiqusa.com for more information.